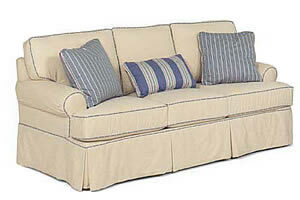 Upholstered furniture is often the most difficult choice to make for a consumer because so much of the decision involves the hidden infrastructure (frame of sofa, etc.) 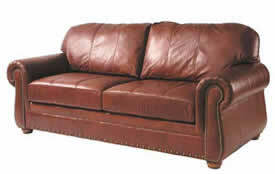 of the piece, which gives it the ability to be comfortable and long lasting. Bert Maxwell’s has an experienced design staff to assist you with fabric selections from thousands of swatches, and we carry only quality constructed pieces. Most have 8-way hand tied double coil construction on hardwood frames with matched tailoring to ensure long-term comfort beauty, and durability. 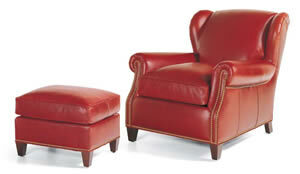 We carry Stanford, Southwood, Hickory Chair, Huntington House, Fairfield Chair, Masterfield, Woodmark, and La-Z-Boy, to name just a few of our manufacturers. 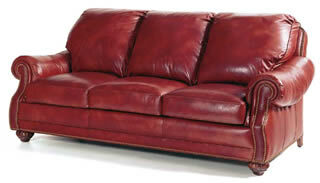 Leather is probably one of the most confusing categories in today’s furniture market with prices ranging from very low to extremely high. Leather can be one of the most durable and stylish products in your home, but it requires a person with experience to assist in the selection. Today’s leathers can be natural or protected, and both have different characteristics. 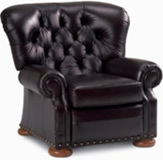 Bert Maxwell Furniture sells leather products from McKinley, Hancock and Moore, Classic Leather, La-Z-Boy, Woodmark, and more. Allow Bert Maxwell’s to help you with your leather selection. Bert Maxwell carries a wide variety of occasional furniture, tables and entertainment centers which combine contemporary living with classic design. The Chromcraft Revington media centers (example at right) come with interchangeable door panels (matching wood panel, glass panel, and speaker panel) so you can customize them to meet your needs. They also come complete with built in surge protectors to protect all your hi-tech gear. This Bombe cocktail table from Vineyard Furniture features four functional drawers at front with wood-on-wood drawer glides, sanded & sealed interiors and drawer stops. Top drawers are English dovetailed front and back. 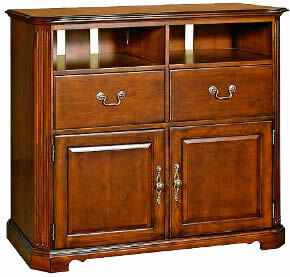 Bottom, bombe-shaped drawers are English dovetailed on back, French dovetailed on front.